Investing with a macro view, will take advantage of themes that do not rely upon positive market performance. The investment style has a return profile that is negatively correlated to traditional asset classes with a strong focus on capital preservation. Capital preservation by limiting exposure to risk where appropriate. Lower volatility than equity markets with an absolute return performance objective. Provide returns independent of traditional asset class returns. The net return figure is calculated after fees and expenses. The gross return is calculated before fees and expenses. The benchmark is the RBA Cash Rate. Since inception is 01 July 2017. The performance figures presented are for the Ellerston Global Macro Fund. The one month return figure may be an estimate and not the final return. This estimate also impacts other performance information provided. Estimated performance figures (where indicated) are preliminary and subject to change. Returns for other classes may differ slightly. Past performance is not indicative of future performance. Ellerston Capital Limited ABN 34 110 397 674 AFSL 283 000 is the responsible entity. The information supplied above has been prepared by Ellerston Capital Limited without taking account of the objectives, financial situation or needs of investors. Before making an investment decision about any Fund persons should obtain advice from an appropriate financial adviser, consider their own individual circumstances and obtain a copy of the relevant disclosure documents for the Fund which is available on this website. This material has been prepared based on information believed to be accurate at the time of publication. Assumptions and estimates may have been made which may prove not to be accurate. Ellerston Capital undertakes no responsibility to correct any such inaccuracy. Subsequent changes in circumstances may occur at any time and may impact the accuracy of the information. To the full extent permitted by law, none of Ellerston Capital Limited, or any member of the Ellerston Capital Limited Group of companies makes any warranty as to the accuracy or completeness of the information in this website and disclaims all liability that may arise due to any information contained in this website being inaccurate, unreliable or incomplete. Past performance figures are calculated pre-tax after taking into account fees and expenses and assume that all distributions are reinvested and do not take into account inflation. Past performance is not a reliable indicator of future performance, nor a promise of future returns. Performance can be volatile. A Global Macro fund with an unconstrained, absolute approach. The Ellerston Global Macro Fund is an absolute, unconstrained strategy investing in a number of fundamentally derived core themes, optimised via trade expression and portfolio construction across fixed income, foreign exchange, equity and commodities. It focuses on capital preservation while providing low to negative correlation to traditional asset classes. The Global Macro Fund is a discretionary medium term macro strategy which is managed by an experienced team of global macroeconomic and investment specialists who have been forecasting global macro trends for over 20 years. We believe that all asset classes are anchored by the global macro-economic environment. That being said, interest rates, currencies and equity indices are ultimately determined by economic growth, inflation and the central bank reaction to such factors. We also believe that asset markets frequently deviate from these anchors, either by over reacting to short term events or crisis concerns, or by not forecasting the macro environment correctly. We aim to exploit these deviations to achieve optimal risk/return outcomes. The fund aims to provide an annualised 5% net return above the RBA cash rate over rolling 3 year periods, with a volatility target of 6% per annum. Ellerston Capital Limited ABN 34 110 397 674 AFSL 283000 is the responsible entity and issuer of units in the Ellerston Global Macro Fund ARSN 617 222 741. Any information is general and does not take into account your personal objectives, financial situation or needs. Accordingly you should consider the Product Disclosure Statement before deciding whether to acquire or continue to hold units in the Fund available from this website or by contacting us on 02 9021 7797. Brett joined Ellerston Capital in November 2016 as Head of Global Macro. Brett has worked in the financial services industry for over 28 years with over 26 of these as a fundamental medium term macro trader with only one negative return/benchmark under-performance during this time. Before joining Ellerston, Brett spent over 10 years as Senior Portfolio Manager at Tudor Investment Corporation in both London and Sydney. Prior to this Brett spent two years contracted to manage capital for Commonwealth Bank of Australia on an absolute return basis. Brett began his career in 1989 at Bankers Trust as a Futures Broker then Proprietary Trader. Brett transitioned to BT Funds Management Ltd to the position of Executive Vice President, Head of Cash and Cash Enhanced Products and in 1999 commenced management of Intermediate Bond Funds. Brett’s last held position here was Head of Global Sovereign Bonds. 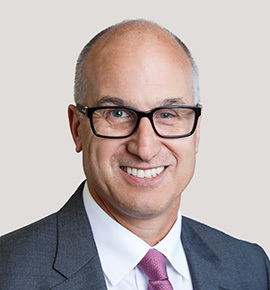 Brett has a Bachelor of Economics degree from the University of Sydney and has been a guest panel speaker at the OECD Business and Finance Outlook Conference and a guest lecturer at the London Business School. 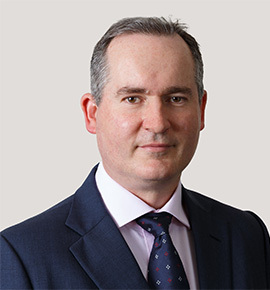 Tim joined Ellerston capital in March 2017 as Chief Economist within the Global Macro Team, bringing 24 years industry experience as an economist. Tim joined from Goldman Sachs where he was Chief Economist and Head of Macro Strategy Australia and New Zealand. In 2002, Tim joined JBWere (who later merged with Goldman Sachs in 2003) as a Senior Economist in the research department and was named Managing Director in 2009. 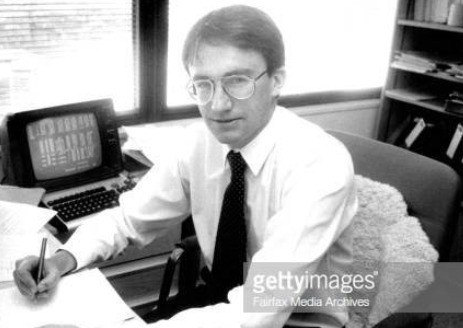 Prior to this, Tim was Macroeconomist with the ANZ Banking Group for two years. Tim began his career as a Senior Economist with the National Institute of Economic and Industry Research. Tim has been voted in the Greenwich survey the number one Economist in Australia from 2003-2016. Tim has a Bachelor of Commerce degree from the University of Melbourne (Honours in Economics) and a Masters of Economics also from The University of Melbourne. 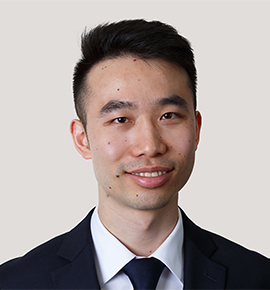 Howard joined Ellerston Capital as an Investment Analyst in February 2017. He joined from Russell Investments, where he worked as an Actuarial Analyst for 3 years, valuing and modelling superannuation funds. Howard has a Bachelor of Commerce degree from the University of New South Wales with majors in Actuarial Studies and Finance. During this time he was awarded the UNSW Scientia Scholarship (2009-12) and the Dean’s Award for Academic Excellence at the Australian School of Business (2009, 2010). Are you an Investor or interested in the following Ellerston Funds? March 2018 - Can't you hear, can't you hear the thunder? December 2017 - Happy New Year and all that good cheer! August 2017 - How deep is your love? June 2017 - And here’s to you Mrs Robinson. Copyright © 2019 Ellerston Capital. All Rights Reserved. Ineligible activities: not be carrying on a property development, regulated banking or insurance, or construction business (ineligible under the ESVCLP investment rules).